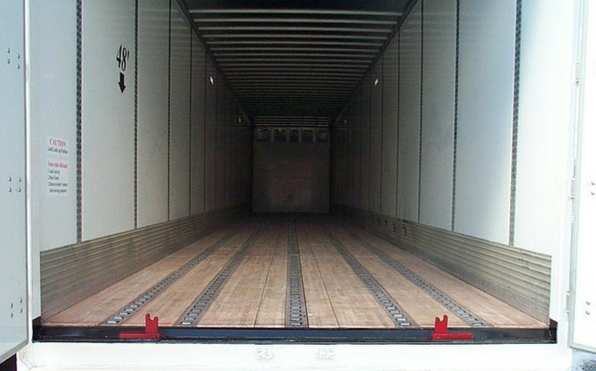 We are dedicated to keeping your cargo safe and secure. Our goal is that our on time performance will exceed your expectation and that your shipments are delivered without incident. Our Shipments Make A Difference! Through our successful history, we have grown from the rural countryside of Virginia to a global and strategic partner of Air Mobility Command. The air cargo that we handle is imperative for mission readiness for warfighters throughout the world. However, in order to accomplish the high volume flow of both military and commercial shipments, our terminal locations are a key aspect of our growth. Drivers need consistent and sustained freight to ensure that their familiy's needs are always met. Drivers are encouraged to have a balanced home life and as a part of it we attempt to provide the opportunity to take their 34 hour restart at their home. Our focus is keeping our drivers in lanes that are most suited to the driver. Our commitment to Air Mobility Comman and TRANSCOM is unwaivering. We are charged with the responsibility to report to our team leaders at Surface Deployment Distribution Command as well as their 3rd party logistics Prime Contractor. Our relationship is open and transparent and we will always support our men and women in the armed forces. Our terminals are strategically located to allow our drivers to be based near their homes. It also establishes a local market presence enabling NNT to respond more rapidly to customer demands. Many of NNT's drivers have retired since the company purchased its first fleet of trucks in 1952. From experience, we know that this type of loyalty exists because NNT treats its drivers like professionals and gives utmost respect for the hard work they provide. All centralized dispatch operations are coordinated with the owners of the company. You, as a driver, have instant contact with the owners. The owners FIND, COORDINATE and DIRECT FREIGHT Operations every day. Signup and we’ll keep you updated! © 2018 Northern Neck Transfer, Inc. All rights reserved.